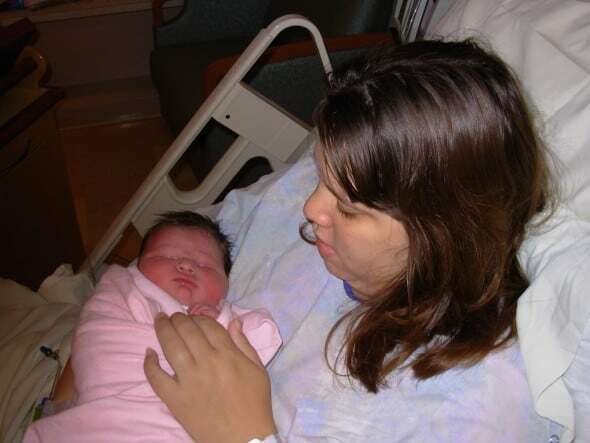 9 years ago I was sitting at home with my brand new chubby baby girl. Goal 1: To care for our new daughter. Up until her birth I was working two jobs and it was finally time for me come home and take care of our new family. I looked forward to being home with our children and Kevin and I agreed that it was the best choice for our family. Goal 2: To make a great part-time income working less than 10 hours a week. First, I worked for several months as a bookkeeper for a local non-profit, bringing our newborn to work each day, eventually transitioning to working from home. I then began working as a Real Estate Virtual Assistant from home. NOT a good fit! I continued working these jobs until I finally had an opportunity to move on. Goal 3: To love what I do. To helps others. I finally realized my gifts and strengths and found the work I loved. Since then I’ve worked with authors, bloggers, business owners and online retailers. I’m currently in my 9th year working from home and I truly love what I do! 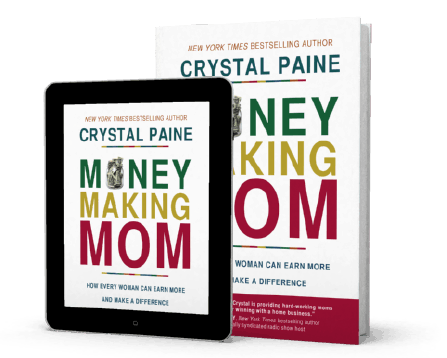 I was given the opportunity to review an early copy of Crystal Paine’s newest book, Money Making Mom. I’ve followed Crystal’s blogs since about 2006!! Her new book is so much more than a “How-To start a business” guide! Crystal walks you through steps and questions to help you determine your goals, discover your gifts and passions, figure out what type of business you should pursue and she shares advice on how to keep it all in balance. So often we stop at point #1 – MONEY. We are so desperate to make ends meet, that we’re willing to give up points 2 and 3 to get there. An unhappy, exhausting, poor fitting job is not going to solve your financial problems. Taking the time to plan, research and pray about what to pursue is an important investment. I’m amazed that because of a chance meeting at a yard sale I met one of my best clients. Money Making Mom is full of great insights like this. While I read each chapter, I started to write down a list of things I still need to do. Mission Statement. Marketing. Build a Team… etc. There is always so much to learn. I’m thrilled that I now have a great resource to recommend when I’m asked about working from home. 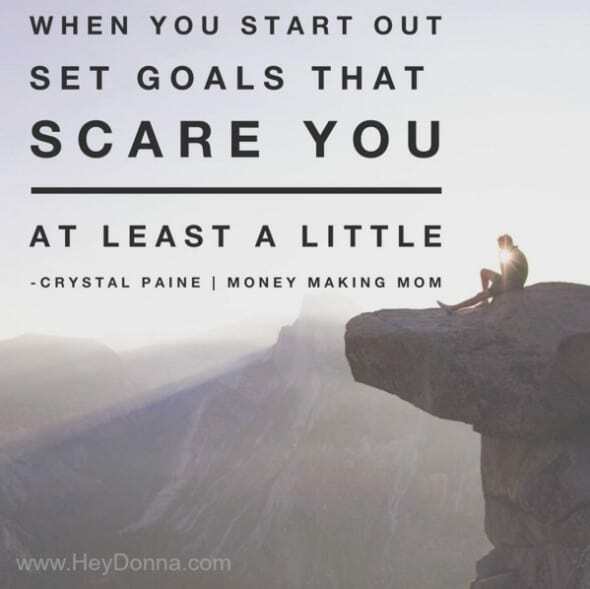 Money Making Mom is a great place to start if you trying to find ways to make money from home. Even if you are already working a successful business from home, this is a great resource for you! Money Making Mom can be purchased through Amazon, Kindle Store and at your local bookstore starting today! At the top of this post is one of my favorite quotes from Crystals book. I’m working on Dreaming big this year and facing my fears of failure. 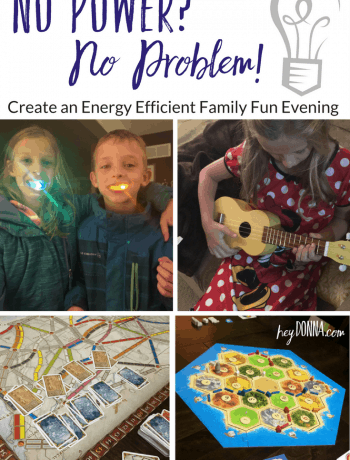 I hope that you will be inspired and encouraged by Money Making Mom too. Encouraging the Littlest & a Dayspring Giveaway!